John-Paul Clarke is a College of Engineering Dean’s Professor at the Georgia Institute of Technology (Georgia Tech), where he has appointments in the School of Industrial and Systems Engineering, and the Daniel Guggenheim School of Aerospace Engineering. He also serves as director of the Air Transportation Laboratory. Dr. Clarke is a leading expert in aircraft trajectory prediction and optimization, especially as it pertains to the development of flight procedures that reduce the environmental impact of aviation. His research has been instrumental in changing both the theory and the practice of flight procedure design, and has spurred the global effort to reduce the environmental impact of aviation via changes in operational procedures. He is also an expert in the development and use of stochastic models and optimization algorithms to improve the efficiency and robustness of airline, airport, and air traffic operations. 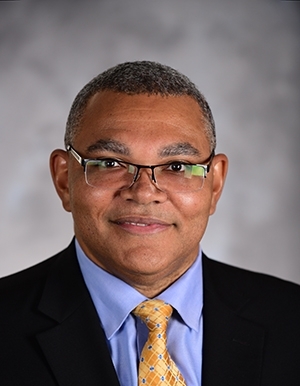 Professor Clarke was co-chair of the National Academies Committee that developed the US National Agenda for Autonomy Research related to Civil Aviation, and a member of the National Academies Committee that reviewed the Next Generation Air Transportation System. He is currently co-chair of the Joint Planning Committee for the AIAA-AAAF Aviation Noise and Emissions Reduction Symposium (ANERS) and a member of the NASA Advisory Council Aeronautics Committee. Over the years, he has chaired or served on advisory and technical committees chartered by the AIAA, EU, FAA, ICAO, NASA, the National Academies, the US Army, and the US DOT. Dr. Clarke received the S.B., S.M., and Sc.D. degrees from the Massachusetts Institute of Technology (MIT) in 1991, 1992, and 1997, respectively. His many prior honors include the 1999 AIAA/AAAE/ACC Jay Hollingsworth Speas Airport Award, the 2003 FAA Excellence in Aviation Award, the 2006 National Academy of Engineering Gilbreth Lectureship, and the 2012 AIAA/SAE William Littlewood Lectureship. He is a Fellow of the AIAA, and is a member of AGIFORS, INFORMS, and Sigma Xi.